This is the configuration file that the Angular CLI uses. As you can see from the image, it has several settings in it. We will be revisiting this file many times as we progress through this Angular CLI course. The table below shows some of the settings and their purpose. We will discuss the other settings and their purpose as we progress through the course. The important point to take away is that the values in the Angular CLI configuration file depends on the options that you have used with the "ng new" command when generating a new angular project. For example, if you do not use the --prefix option with the "ng new" command, then the default value "app" is stored in the configuration file for "prefix" setting. So the root component (AppComponent) that is created at the application generation time has "app" as the selector prefix. 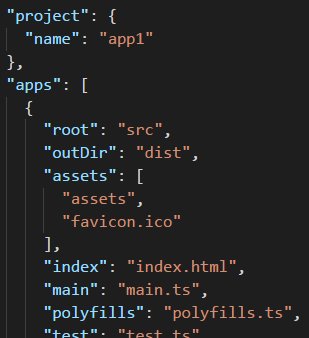 To fix this, please first execute "npm install" to install the required npm packages and then generate the component.